Supporters of Judge David R. Navarro's election bid are planning a fundraiser for their candidate on Thursday, July 13, from 5:00 to 7:00 p.m., at Tufano's Vernon Park Tap, 1073 W. Vernon Park Place, Chicago. Tickets will be available at the door and are priced at $100 each (government employees will be admitted for $50). Sponsorships are also available (Friend - $250, Patron - $500, Benefactor - $1,000). Former Cook County State's Attorney Richard A. Devine is the host for the event. For more information, or to reserve tickets, email electjudgedavidnavarro@gmail.com or see this Facebook page. A campaign website has been established for Judge Travis Richardson. That's a link to the campaign website in the preceding sentence; a link has been added to the blog Sidebar. Unlike many campaign websites at this early stage of the campaign, Richardson's makes clear that he is not just running in the 2nd Subcircuit, he is running for the Turner vacancy, the vacancy to which the Illinois Supreme Court appointed him earlier this year. Prior to his appointment, Richardson was a partner in the firm of Richardson & Mackoff (his partner, Myron F. Mackoff, left the firm a few months earlier to take up duties as a Circuit Court judge from the 8th Subcircuit). Richardson was a candidate for a 2nd Subcircuit vacancy in the 2016 Primary, garnering the Tribune's endorsement and a "Well Qualified" rating from the Chicago Council of Lawyers in the course of his campaign. Richardson's campaign bio notes that, before his ascension to the bench, he "acted as general counsel for Wireless Wearables, Inc., Xi Lambda Chapter of the Alpha Phi Alpha Fraternity, Inc., and ONYX Architectural Services, Inc." Richardson has served as the Financial Secretary for the Cook County Bar Association and on the Elections Committee of the National Bar Association. A graduate of the University of Pennsylvania and the University of Michigan Law School, Richardson has been licensed as an attorney in Illinois since 1997. Richardson's supporters have scheduled a July 13 fundraiser for their candidate on Thursday, July 13, from 5:00 to 7:00 p.m., at the offices of Winston & Strawn LLP, 35 E. Wacker. Tickets are priced at $100 each and will be available at the door. Sponsorships are also available ($250 - Friend, $500 - Host, $1,000 - Co-Chair). The listed honorary chairs for the event are Ald. Carrie Austin, Vice-Chair of the Cook County Democratic Party; Recorder of Deeds Karen Yarbrough, Vice-Chair of the Democratic Party of Illinois; MWRD Commissioner Tim Bradford, Vice-Chair of the Cook County Democratic Party; Ald. Howard Brookins, Jr.; Board of Review Commissioner Larry Rogers; and Winston & Strawn partner Sam Mendenhall. For more information about the event, or to reserve tickets, email Info@CraticShaffer.com or call (312) 798-9376. Supporters of Judge Tricia Payne's election bid have launched a campaign website on her behalf. That's a link to the site in the preceding sentence; a link has also been added to the blog Sidebar. There is also a Facebook campaign page. The Illinois Supreme Court appointed Judge Payne to the countywide Brewer vacancy at the end of 2016. At the time of her appointment, as her campaign bio notes, was a "Will County Assistant Public Defender serving as a felony supervisor and an organizing member of the Will County Mental Health Court." 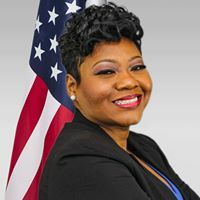 A Chicago native (and Whitney Young alum, according to her campaign bio), Payne currently resides in the City of Chicago with her husband and daughter. She was licensed in Illinois in 1997. Her campaign bio notes that she clerked for various agencies, including the Chicago Housing Authority, before becoming a lawyer. After receiving her license, and before joining the Will County PD's office, Payne was a solo practitioner. She "was a founding member and former president of the Black Bar Association of Will County, also chairing the Barrister's Ball and Clothing Drive," according to her campaign website. Payne's supporters have scheduled a fundraiser for their candidate on Thursday, June 29, from 5:30 to 7:30 p.m., at Woodie's Flat Chicago, 1535 N. Wells Street in Chicago. Tickets are priced at $100 each and will be available at the door. Sponsorships are also available ($150 - Supporter, $250 - Sponsor, $500 - Host, $1,000 - Chair). The listed hosts for the event are Cong. Danny Davis, MWRD Commissioner Tim Bradford, Recorder of Deeds Karen Yarbrough, Ald. Michelle Harris, Ald. 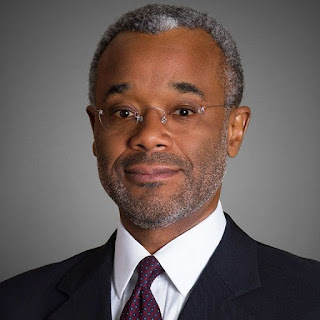 Howard Brookins, Jr., Ald. Walter Burnett, Jr., and Ald. Roderick Sawyer. For more information about the event, or to reserve tickets, email Info@CraticShaffer.com or call (312) 798-9376. A resident judge elected from a subcircuit shall continue to reside in that subcircuit as long as he or she holds that office. A resident judge elected from a subcircuit after January 1, 2008, must retain residency as a registered voter in the subcircuit to run for retention from the circuit at large thereafter. This provision was added to §2f after the Illinois Attorney General issued an opinion in 2006, No. 06-005, stating that subcircuit judges could move from the subcircuit after being retained in office. That's because judges are not retained in office by only the voters in their subcircuit; instead, they must face a countywide yes or no vote. The Legislature may not have intended that subcircuit judges would be permitted to move after their first retention election -- as §2f(e) would subsequently confirm -- but the Attorney General concluded that, after facing all of Cook County's voters in a retention election, the "unit" electing the judge was different than it was originally and the newly retained judge would be free to relocate anywhere within that new, larger unit (in our case, anywhere within Cook County). The problem with §2f(e) is that it may be unconstitutional: In Thies v. State Board of Elections, 124 Ill.2d 317, 529 N.E.2d 565 (1988), the Illinois Supreme Court stated that the Legislature is without power to impose requirements for judicial office greater than those imposed by the Illinois Constitution. In that case, the Legislature had created a judgeship for Champaign County, insisting that anyone running for that position be a resident of Champaign County, but requiring also that the judge would be elected by all the voters in the Sixth Circuit -- which included counties other than Champaign. In other words, a duly licensed attorney residing in the unit from which the judge was to be elected was ineligible under the statute unless he or she lived in Champaign County. This, the Supreme Court said, the Legislature could not do. In her 2006 opinion, the Attorney General determined that the reasoning of the Thies court would likely apply in the case of a judge moving from a subcircuit after being retained in office; after a judge is retained by the entire county, the unit selecting that judge had changed. Not less than six months before the general election preceding the expiration of his term of office, a Supreme, Appellate or Circuit Judge who has been elected to that office may file in the office of the Secretary of State a declaration of candidacy to succeed himself. The Secretary of State, not less than 63 days before the election, shall certify the Judge’s candidacy to the proper election officials. The names of Judges seeking retention shall be submitted to the electors, separately and without party designation, on the sole question whether each Judge shall be retained in office for another term. The retention elections shall be conducted at general elections in the appropriate Judicial District, for Supreme and Appellate Judges, and in the circuit for Circuit Judges. The affirmative vote of three-fifths of the electors voting on the question shall elect the Judge to the office for a term commencing on the first Monday in December following his election. No provision was made for retaining judges by subcircuit because there were no subcircuits in 1970. So, although the Legislature clearly rejected the AG's opinion in 2007 when §2f(e) was passed, the constitutional argument has not been resolved. Ah, well. If legislators did their jobs better, even more lawyers would be out of work than presently. Meanwhile, if HB 711 becomes law, subcircuits will get redrawn in time for the 2022 primary. That would be interesting. Figuring out which comments to let through and which to flush isn't always easy for this blogger. Sure, it's easy to bar comments that say Judge So-and-So is a crook and it's harmless enough to let through comments like Congratulations to new Judge So-and-So; she'll do a great job. It's the ones in between that get the blogger into trouble. If I set out to offend someone, you (and the person to be offended) will know about it. But I feel bad when I offend people by accident. And yet I have offended people inadvertently -- as I was reminded a couple of months ago now when I was invited by a mutual acquaintance to have coffee with a person who has been frequently lampooned in comments on this blog. This person hadn't reached out to me before, but had been doing a slow burn every time a judge or politician or friend would call and say did you see what they're saying about you on Leyhane's blog? Well, I didn't know that this person was becoming increasingly upset; when you don't hear from someone, it's easy to jump to the conclusion that the person doesn't mind... there are those, after all, who subscribe to the theory that all publicity is good publicity. And then there are others who immediately let me know they don't like this comment, or that one. I encourage people not to be too thin-skinned. Politics ain't beanbag, as Finley Peter Dunne's Mr. Dooley once correctly opined. And don't we already have the terrible example of too-thin-skinned in the White House? No slight, no matter how slight, can go unresponded, usually in a 3:00 a.m. tweet. Better to laugh off a snide remark or two or, at least, if you can't do that (as my baseball-playing sons would shout at a teammate who'd been hit by a pitch), don't rub it. On the other hand, my aim is to pass good information along, not to toughen the psyches of some or indulge the meanness of others. So when a comment comes in, and I know it will be offensive to someone, I have to make a calculation: How interesting or valuable -- and how likely true -- is the information provided? How deeply intertwined is it within the gratuitous slaps at others? I wish I could edit comments, but I can't. Case in point: Someone recently sent in a prediction about who is likely to be appointed to a current vacancy. It's a plausible bit of speculation -- and some of the speculations provided by readers in these comments have proved spot on -- but I had to take a pass because of how it was worded. And then there are the commenters that are trying to re-open disputes that have long been resolved -- and not resolved by me, mind you, but by the Cook County Electoral Board and/or the courts in past election cycles. Yes, I understand that challenges may, and probably will, be renewed when and if these candidates refile for new vacancies in the upcoming primary. I will report on the challenges, as I have in the past, the best of my ability and as my day job permits. In the meantime, stop with these kinds of comments. They're not going in. Also beyond the pale are old-news comments about ARDC issues. Readers: Did you know you can check any lawyer's ARDC status online? Visit the ARDC website and click on lawyer search in the upper left-hand corner of your screen. Follow the directions and you too can see, inter alia whether this lawyer or that one has been the subject of any complaints by the disciplinary authorities and, if so, how those complaints were resolved. And guess what? The evaluating bar groups can do this, too! And, not only that, every candidate who submits credentials for bar evaluation signs forms giving permission for the bar groups to get further information from ARDC, information that the ARDC would otherwise keep confidential. So the bar groups know more than you, dear anonymous commenters, about this candidate's ARDC history or that one's. So stop trying to plant poisonous comments about prior complaints, OK? The bar groups knew about them and decided that Candidate X was qualified despite a prior ARDC complaint. Those comments aren't going in either. Just today, someone sent in a comment that, among other things, claimed that Candidate Y had terrible bar ratings. I can't run that. For better or for worse, bar groups do not reveal candidate ratings on a rolling basis. In my opinion, it would be nice to click to a page on the CBA website -- for example -- which listed the names of all persons having current judicial ratings, all hyperlinked to their respective CBA ratings. It would be a greater logistical challenge for the Alliance, with its 11 constituent groups, which is why I used the CBA as my example here. But, either way, no such site exists. All the bar groups will be working diligently right up until the eve of the March 2018 Primary evaluating candidates and the groups' evaluations of every candidate then still in the running will be released all at once. And, meanwhile, although the CBA and the Alliance have both worked very cooperatively with me through the years, they're not going to let me check whether Candidate Y has current ratings and what those ratings are -- which I'd want to do before deciding to let such a comment through. So -- although there may have been some merit to the comment, I can't run it. I am grateful for the comments that come into the blog. I know readers value them. I will let through what I think I can. But I can't let them all in and, now, perhaps, you better understand why. Each of the five judges serving in countywide vacancies pursuant to Supreme Court appointment (Claire Quish, Cecilia Horan, Elizabeth Karkula, Litricia Payne, and Marina Ammendola) are requesting Party support. The total number of countywide vacancies that will be on the March 2018 primary ballot is not yet known -- it likely will be more than five, but certainly many fewer than 28 -- and the actual number of vacancies won't be known when the Democratic Central Committee convenes in August for its formal slating meeting. (That's one reason why alternates are typically designated.) Although some of the sitting judges are likely to be endorsed by the Party, if history is any guide (and it usually is), not all will be slated. Some of the candidates appearing for pre-slating may ultimately choose to run in subcircuits instead of countywide. Candidates who already know they will be seeking the Party's endorsement in subcircuit elections would not appear for the pre-slating meeting. Democratic in each subcircuit control slating for subcircuit vacancies. Many subcircuits will hold slating sessions; if and when information becomes available concerning these slating meetings, I will pass it along. Supporters of Judge Travis Richardson's 2nd Subcircuit election bid are planning a combination birthday celebration and fundraiser for their candidate on Friday, July 7, from 6:00 to 10:00 p.m., at The eXcel Center, 8236 S. Western Avenue. The suggested donation for the event, billed as "an evening of cool jazz on a hot night," is $25. Listed hosts for the event are 21st Ward Ald. Howard Brookins, County Commissioner Stanley Moore (4th Dist. ), and 27th Dist. State Rep. Justin Slaughter. For more information about the fundraiser, or to reserve tickets, call (312) 296-3453. 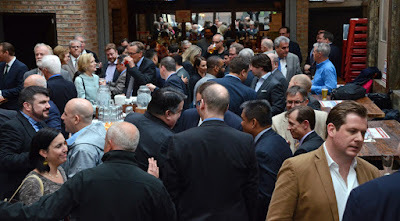 Supporters of Judge John A. O'Meara's election bid in the 4th Subcircuit are planning a campaign kickoff fundraiser for their candidate on Thursday, July 13, from 5:00 to 7:30 p.m., at 312 Chicago, 136 N. LaSalle Street. Tickets for the event are $100 each, but sponsorships are available (Bronze - $250, Silver - $500, Gold - $1,000). For more information, or to reserve tickets, see this Facebook events page or this page on the candidate's campaign website. 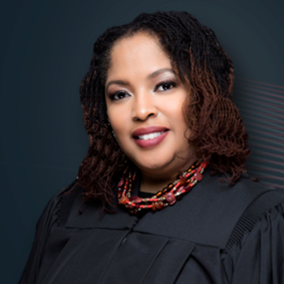 Judge H. Yvonne Coleman just took office in March of this year, when the Illinois Supreme Court appointed her to fill the Banks vacancy in the 5th Subcircuit, but her supporters have wasted no time in setting up a campaign website on her behalf. That's a link to the campaign website in the preceding sentence; a link has been added to the blog Sidebar as well. 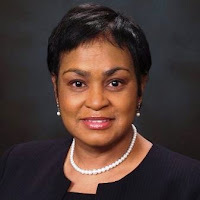 Coleman was in private practice at the time of her appointment, concentrating, according to her LinkedIn profile, "in employment and civil rights litigation, workplace investigations, and mediation." She previously served, according to the LinkedIn profile, as Bureau Chief of the Civil Rights and Disability Rights Bureaus in the Office of the Illinois Attorney General, and as Manager and Chief Hearing Officer, Appeals Division, with the Illinois Department of Employment Security. Coleman also served as General Counsel with the City of Chicago Independent Police Review Authority, according to LinkedIn. 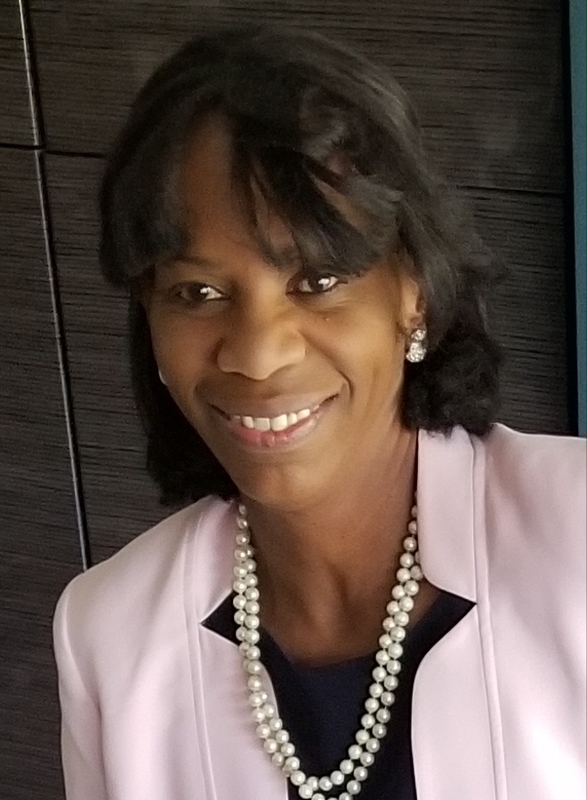 Coleman's supporters have announced a campaign kickoff for their candidate, to be held on Thursday, June 29, from 5:30 to 7:30 p.m., at Gallery Guichard, 436 E. 47th Street. Tickets for the event are $100 each, but sponsorships are available ($250, $500, $1,000). To reserve tickets, or for more information, call (773) 609-3615 or email ElectJudgeColeman@gmail.com. Of course, it will be hot. And humid. And there may be a stray shower this morning. But it will be interesting to watch who goes in and out. The Cook County Democratic Party is conducting its pre-slating meeting today at 9:00 a.m., and at 9:00 a.m. tomorrow, June 23, 2017, in the 7th floor conference room of the 134 N. LaSalle St. building. FWIW let readers know about this week's sewing circle in this May 23 post -- and that post provided information on how judicial wannabes could seek an invitation to peddle their résumés inside that conference room. Perhaps the Committee might still hear from wannabes who seek appointments today. Do as you think best -- but I wouldn't count on a favorable reception. If you haven't yet obtained an invite, it may be best not to advance beyond the front door. 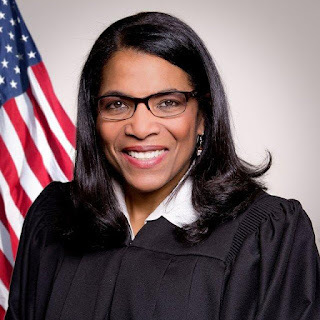 Illinois Supreme Court Justice Mary Jane Theis has announced an application process to fill a vacancy in the 5th Subcircuit that has been created by the retirement of Judge Edward Washington, II. The deadline for applications is 4:00 p.m. on Monday, July 17, 2017. To be considered, applicants must be attorneys in good standing, licensed to practice in Illinois, and residents of the 5th Subcircuit. Persons who have submitted applications for prior vacancies will be required to submit new applications in order to be considered for this vacancy, according to the Court's press release. Current bar evaluations should be supplied with the applications where available; however, according to the Court's press release, applications may be submitted without bar evaluations. Applicants will be screened by the 11-member Alliance of Bar Associations for Judicial Screening and by the Chicago Bar Association. Applicants will also be screened by Justice Theis's special judicial screening committee, cochaired by retired U.S. District Court Judge Wayne R. Andersen and retired Illinois Appellate Court Judge Michael J. Gallagher. The appointment will be effective until December 3, 2018, when the person elected to fill Judge Washington's vacancy is sworn in. Supporters of Judge Debra A. Seaton's 2nd Subcircuit election bid are planning a "Friends & Family Fundraiser" for their candidate this coming Saturday, June 24, from 4:00 to 6:00 p.m. at 8500 S. Carpenter St., Chicago. A minimum suggested fundraising contribution of $20 is requested. Francis Chinaka is hosting this event. For more information, or to reserve your place, please call (708) 218-2989 or email citizens2electJudgeDebraSeaton@gmail.com. Supporters of Judge Cecilia Horan's bid to hold her countywide seat are planning a fundraiser for their candidate tomorrow, June 22, from 5:00 to 7:00 p.m., at the University Club, 76 E. Monroe. Tickets for the event are $150 each, but sponsorships are available ($250 - Supporter, $500 - Patron, $1,000 - Sponsor, $1,500 - Host, and $2,500 - Chair). Discounted tickets, for $100 each, are available to "associates" -- defined for this purpose as attorneys in practice for less than five years. Andy and Lynn Kopon and Kopon Airdo LLC are the listed hosts for this occasion. For additional information about the event, or to reserve tickets, email eric@blueprintcampaignconsulting.com or call Eric at (773) 562-9559. Assistant Public Defender Tiana Ellis Blakely has announced plans to seek a 2nd Subcircuit vacancy in the March 2018 primary. That's a link to Blakely's campaign website in the preceding sentence; a link has also been added to the blog Sidebar. She also has a campaign Facebook page. According to ARDC, Blakely was licensed to practice law in Illinois in 2004. Her campaign bio notes that Blakely has served in the Cook County Public Defender's Office for her entire career, working in "several divisions including Child Protection, First Municipal, and Felony Trial." The campaign bio states that Blakely "has litigated over 200 cases from Battery to First Degree Murder." Blakely was born in Chicago and raised in the Roseland community, where she attended Chicago Public Schools. She did her undergraduate work at SIU and graduated from Loyola University Chicago Law School. Blakely still lives in Roseland, with her husband and three children. According to the campaign bio, Blakely "speaks in neighborhood high schools about crime prevention, and volunteers at senior centers throughout her community." Blakely is a member of the Cook County Bar Association, the Black Women Lawyers Association, and Zeta Phi Beta Sorority, Incorporated. She has served as Vice President of the Poe Classical School PTA and on the Fernwood Park Advisory Council. A campaign website is now online in support of Judge Robin D. Shoffner's 8th Subcircuit election bid. That's a link to the campaign website in the preceding sentence; a link has also been added to the blog Sidebar. There is also a Facebook campaign page. Shoffner's campaign bio stresses her pre-judicial service as a trial attorney for the Federal Civil Rights Division of the Corporation Counsel's Office, Senior Litigation Counsel for Aon Risk Services, and with the law firm currently known as Albert, Whitehead, P.C. It also notes Shoffner's service as President of the Black Women Lawyers' Association and as a past board member of the Cook County Bar Association. Shoffner was licensed to practice law in Illinois in 1990. According to her campaign bio, Shoffner is an active member of Holy Angels Catholic Church, serving on the Finance Committee and the HIV/AIDS Ministry. Shoffner lives in the South Loop community with her daughter, who attends the South Loop Elementary School. The Illinois Supreme Court appointed Shoffner to the Fabri vacancy in the 8th Subcircuit in 2016. Before that, Shoffner served in a 5th Subcircuit vacancy. Supporters of Judge Debra A. Seaton's election bid are holding a fundraiser for their candidate on Wednesday, June 28, from 5:00 to 7:00 p.m., in the Chicago offices of Faegre Baker Daniels, 311 S. Wacker Drive, Suite 4300. Francis Chinaka is hosting the event. Tickets are $100 apiece, but current Assistant State's Attorneys and Assistant Public Defenders can buy discounted tickets for $25 each. Solo practitioners and attorneys in small firms can obtain discounted tickets for $50 each. Sponsorships are also available ($250 - Sponsors, $500 - Friends). For more information about the event, or to reserve tickets, call (773) 503-4285 or email www.Citizens2ElectJudgeDebraSeaton@gmail.com (and, if that looks more like a campaign website than an email address, that may well prove to be the case -- but there is no campaign website on line -- not yet). The Illinois Supreme Court appointed Judge Seaton to the Willis vacancy in the 2nd Subcircuit just last month. 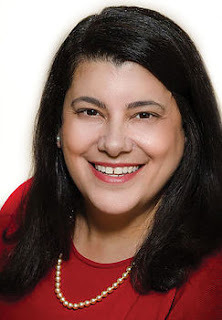 Judge Stephanie Saltouros now has a campaign website up and running. That's a link to the website in the preceding sentence; a link has also been added to the blog Sidebar. Saltourous's campaign bio details her 12 years of experience in the State's Attorney's Office, noting that she led the "Domestic Violence prosecution team in the Second Municipal District, where she used her expertise in that area to prosecute hundreds of domestic abusers" and her subsequent service in the Felony Review Unit of the State’s Attorney’s Office, where, according to her campaign site, she "worked closely with police officers from Chicago, Park Ridge, Niles, Des Plaines, and Glenview, assisting in hundreds of investigations that led to the prosecution and conviction of thousands of criminals." The last five years of her career in the State's Attorney's Office were spent as a felony prosecutor. Saltouros started her own practice in 2008. FWIW readers will recall that Saltouros was slated by the Democratic Party for a 10th Subcircuit vacancy in the March 2016 primary. She withdrew from that race, however, throwing her support to Judge Eve Marie Reilly, the eventual primary winner. Saltouros was appointed to the bench in September 2016. Saltouros and her husband, Jim, are the parents of two children. Judge Saltourous served on her local school counsel and volunteered for the PTA while her children attended Chicago Public Schools. She is a member of the board of the Emergent Theatre. According to Saltouros's campaign website, State Rep. Robert F. Martwick, Jr. is the Chair of the campaign. Jacob Kaplan, the Executive Director of the Cook County Democratic Party, is the Campaign Manager and Field Director. Michael Tierney is the Assistant Field Director. Chicago attorney Rishi Agrawal has announced plans to seek an 8th Subcircuit vacancy. A campaign website has recently gone live. That's a link to the website in the preceding sentence; a link has also been added to the blog Sidebar. There is also a campaign Facebook page. Agrawal has been licensed as an attorney in Illinois since 1998, according to ARDC. Since 2007, has been the principal of the Agrawal Firm, LLC, according to his campaign bio. Before that, Agrawal worked for Eimer Stahl Klevorn & Solberg, LLP, Segal McCambridge Singer & Mahoney, Ltd., and the Will County Public Defender's Office. A former President of the Asian American Bar Association, Agrawal's campaign bio notes that he also "chaired the host committee for the 2005 National Asian Pacific American Bar Association (NAPABA) conference, served on the board of the National South Asian Bar Association (now South Asian Bar Association of North America) and held several positions with the Indian American Bar Association (IABA) (now known as the South Asian Bar Association of Chicago), including President and Vice President for Professional Development." 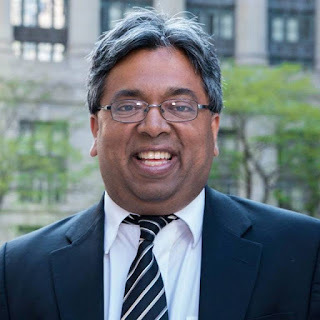 During his service with the IABA, Agrawal helped "renew" the Cyriac D. Kappil Legal Clinic at the Indo-American Center, which, according to the campaign bio, "is now one of the largest pro-bono legal clinics in Chicago." Agrawal is currently serving a second elected term on the South Loop Elementary School Local School Council and has also coached the South Loop Elementary Debate Team for several years. 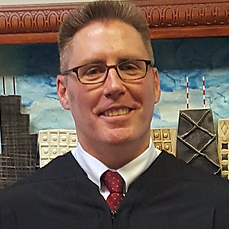 A veteran DuPage County Assistant State's Attorney, Sean Patrick Kelly, is looking for work closer to his Chicago home: Kelly has announced his intention to seek a judicial vacancy in Cook County's 6th Judicial Subcircuit. His supporters have set up a campaign website and scheduled a June 22 fundraiser for their candidate. That's a link to the campaign website in the preceding sentence; a link has been added to the blog Sidebar. Kelly also has a campaign Facebook page. Kelly has been licensed as an attorney in Illinois since 2006, according to ARDC. After graduating from John Marshall Law School in 2005, Kelly went to work for the Haymarket Group LLC, an independent management consulting and business advisory firm serving the energy/oil and gas industries, rising to General Counsel, according to his campaign bio. Kelly joined the DuPage County State's Attorney's Office in 2007. He currently works in the felony narcotics unit of that office. As noted, Kelly's supporters are throwing a fundraiser for their candidate this coming Thursday, June 22, from 5:30 to 7:30 p.m., at the Racquet Club of Chicago, 1365 N. Dearborn Pkwy. Tickets for the event are $100 each, but sponsorships are available ($500, $1,000, $2,500, or $5,000). There is a dress code at the Racquet Club; men are required to wear a jacket and tie. Valet parking is available. For more information, or to reserve tickets, call Erica at (312) 909-1418 or email ericakkelly@gmail.com. 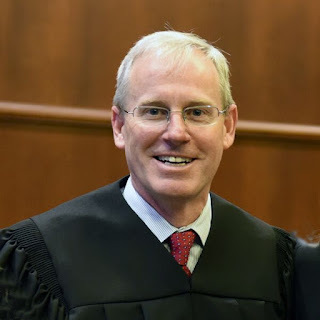 A campaign website has been established in furtherance of Judge John A. O'Meara's bid to hold onto the 4th Subcircuit seat to which he was appointed late last year. That's a link to the website in the preceding sentence; a link has also been added to the blog Sidebar. According to ARDC, O'Meara has been licensed as an attorney in Illinois since 1995. O'Meara's campaign biography notes that his legal career actually began the year before that: "Under authority granted by Supreme Court Rule 711, in his last year at The John Marshall Law School, [O'Meara] prosecuted traffic and business offenses for" the Corporation Counsel's Office, "conducting hundreds of bench trials." After graduation, O'Meara stayed with the City of Chicago as an Assistant Corporation Counsel before moving to a "private practice in civil litigation defense successfully defending individuals, companies, municipalities, and Fortune 500 corporations in complex tort litigation." O'Meara joined Curcio Law Offices in 2001, according to the campaign biography, becoming a partner in the firm soon thereafter. With Curcio's office, according to the firm biography, O'Meara represented "victims of injury or wrongful death due to medical malpractice, product liability or other torts." O'Meara was practicing with Curcio's office at the time of his appointment to the bench. O'Meara and his wife, Barbara, are the parents of four children. The campaign also has a Facebook page and a Twitter handle (I think that's the right way to say it...). Updated and corrected to reflect additional information provided. The Illinois Supreme Court yesterday appointed Marian Emily Perkins to a 5th Subcircuit vacancy that will be created by the forthcoming retirement of Judge Rickey Jones. Perkins' appointment is effective July 13; it will expire on December 3, 2018. Perkins currently operates the Law Office of Marian E. Perkins, P.C., in Chicago's Loop. 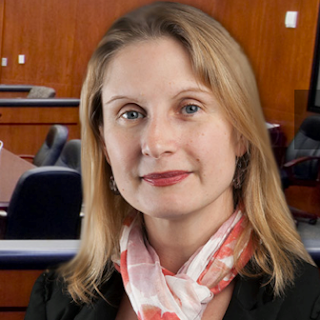 She has been licensed as an attorney in Illinois since 1987. A past president of the Cook County Bar Association, Perkins is also a longtime Associate Professor of Criminal Justice & Law at Chicago State University. According to her LinkedIn page, Perkins began her legal career in the office of the Illinois State Appellate Defender; she also worked for several years as an Assistant Cook County State's Attorney and, during the mid-90s, as a staff attorney for the Illinois Department of Professional Regulation. Perkins was an associate judge finalist in 2016. Supporters of Judge Robin Denise Shoffner's 8th Subcircuit election campaign are throwing a fundraiser for their candidate on Wednesday, June 28, from 5:00 to 7:00 p.m., at the Union League Club, 65 W. Jackson. Aldermen Brendan Reilly (42nd), James Cappleman (46th), and Brian Hopkins (2nd) are the hosts for this event. Tickets are $100 apiece, but sponsorships are available ($150 - Supporter, $250 - Sponsor, $500 - Host, $1,500 - Chair). Tickets will be available at the door. 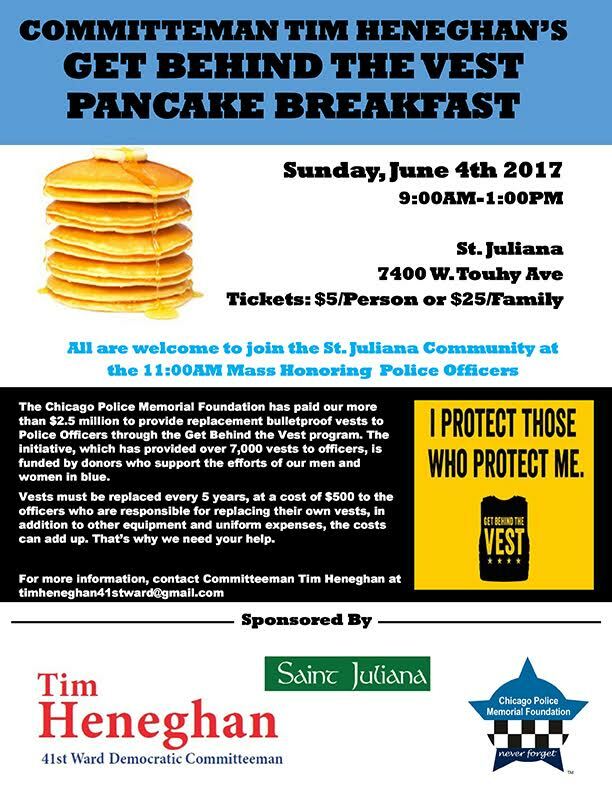 For more information about the fundraiser, or to reserve tickets in advance, email INFO@craticshaffer.com or call (312) 798-9376. Supporters of Judge Kent Delgado's 6th Subcircuit election bid have announced a Monday, June 26 fundraiser for their candidate at the Plymouth Restaurant & Rooftop Bar, 327 South Plymouth Ct.
Tickets for the event, which will run from 5:00 to 7:00 p.m., are $150 each, but sponsorships are available ($250 - Bronze, $500 - Silver, $1,000 - Gold, $2,500 - Platinum). Kevin Forde, Michael Forde, Hon. Henry Simmons (Ret), Thomas M. Tully, and John J. Tully are the listed hosts. For more information about the fundraiser, email nick@cfoconsults.com; to reserve tickets click on this link. Supporters of Judge Mike Gerber's election bid are planning a fundraiser for their candidate on Thursday, June 29, from 5:30 to 7:30 p.m., at Ditka's Restaurant, 2000 W. Euclid Ave. in Arlington Heights. Tickets for the event are $150 each, but government employees can buy tickets for $75 each. Sponsorships are also available (Bronze - $500, Silver - $1,000, Gold - $2,500, Platinum = $5,600). For more information about the event, or to reserve tickets, call (312) 720-3904 or email info@gerberforjudge.com. The Illinois Supreme Court appointed Judge Gerber to the Lawrence vacancy in the 13th Subcircuit in December 2016. He will be a candidate in the Republican primary in that far northwest suburban Republican enclave. A campaign website has been set up in support of Judge Stephanie Miller's bid to retain her 6th Subcircuit seat. That's a link to the campaign website in the preceding sentence; a link has been added to the blog Sidebar. The Illinois Supreme Court appointed Judge Miller to the Lopez Cepero vacancy in the 6th Subcircuit earlier this year. Her campaign bio notes that, prior to her appointment, Miller served as an Assistant State's Attorney, supervising "several attorneys in felony trial courtrooms in courthouses throughout the county." While an ASA, Miller "co-founded the National LGBT Prosecutor’s Bar Association and served as the treasurer for the National Hispanic Prosecutor’s Association." According to her campaign website, Miller lives with her wife and twins "in Chicago where she is an active member of the West Bucktown Neighborhood Association, Maplewood and Lucy Flowers Park Advisory Counsel and Friends of Goethe Elementary School." Miller's supporters are planning a fundraiser for their candidate on Monday, June 19, from 5:30 to 7:30 p.m., at the @mosphere Bar, 5355 North Clark Street. Tickets for the event are $50 each but sponsorships are available (Host - $150, Sponsor - $300, Patron - $500, Chair - $1,000). For more information about the fundraiser, or to reserve tickets, email Michilla@electjudgestephaniemiller.com. Here are two judicial candidates who haven't yet reached out to me at jackleyhane@yahoo.com -- but I found them anyway. On the left is Stephan J. Feldman. I've added a link to his campaign website in the blog Sidebar; Feldman also has a campaign Facebook page up and running. FWIW readers may recall that Feldman ran for a countywide vacancy in the 2014 primary. This time, according to his campaign website, Feldman has his sights set on an 8th Subcircuit vacancy. The campaign website also contains a link to Feldman's law firm site. I think they call that "synergy" in business school. Licensed as an attorney since 2001, according to ARDC, Feldman's campaign website stresses his experience as a hearing officer for the Secretary of State's Office, presiding over 1,000 contested hearings. Since 2011, according to the campaign website, Feldman has also served as an adjunct professor at his alma mater, the John Marshall Law School, teaching trial advocacy. 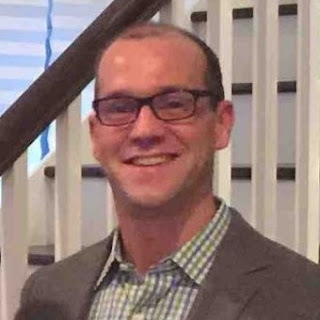 Feldman's Facebook campaign page says that he is a lifelong resident of the Gold Coast, attending the Ogden School and graduating from the Francis W. Parker School. On the right is Ioana Salajanu, a partner with Rock Fusco & Connelly, LLC, who is bidding, according to her campaign website, to become Cook County's first ever Romanian-born judge. I've added Salajanu's campaign website to the blog Sidebar as well; she also has a Facebook campaign page. Salajanu was licensed in Illinois in 2000. Her firm biography notes that Salajanu did her undergraduate work at the University of Michigan, taking her B.A. in 1996. Her principal areas of practice, according to the Rock Fusco site, are commercial finance, corporate transactions, commercial litigation and real estate. Her campaign Facebook page notes that she was born in Oradea, Romania, immagrating to the United States in 1983. She lives in Skokie, where she is raising three children. Her campaign website specifies that she intends to seek a seat in the 9th Subcircuit. And her Facebook campaign page contains photographic proof that State Rep. Lou Lang, who doubles as Niles Township Committeeman, attended her April 18 campaign kickoff. That's not necessarily an endorsement -- and Salajanu's Facebook page carefully notes that her reception was attended by supporters and Rep. Lang -- but it certainly is a feather in the cap of a first-time candidate. There's just one problem... is there a 9th Subcircuit vacancy yet? Whose? 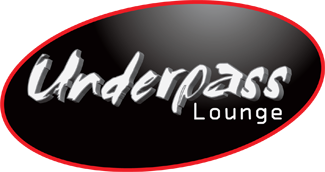 Judge Joanne Rosado's supporters have scheduled a fundraiser for their candidate on Friday, June 23, from 6:00 to 8:30 p.m., at the Underpass Lounge, 9400 Grand Ave. in Franklin Park. River Grove Mayor Dave Guerin and Franklin Park Mayor (and Leyden Township Committeeman) Barrett Pederson are sponsoring the event. Tickets are $75 each, but sponsorships are available (Friend - $150, Supporter -- $250, Sponsor - $500, Host - $1,000). For more information about the fundraiser, or to order tickets, call or email Pericles Abbasi at (773) 368-5423 or Pericles@UChicago.edu. The Illinois Supreme Court appointed Rosado to the Kennedy vacancy in the 11th Subcircuit earlier this year. Assistant Public Defender Lindsay Hugé has announced plans to seek a judicial seat in the 8th Subcircuit. That's a link to the candidate's campaign website in the preceding sentence; a link has also been added to the blog Sidebar. Hugé has been licensed as an attorney in Illinois since 1989, and has been with the Public Defender's office throughout his career. According to his campaign bio, Hugé also taught history at DePaul University from 2001 to 2003 and has taught law and history at Columbia College since 1998. 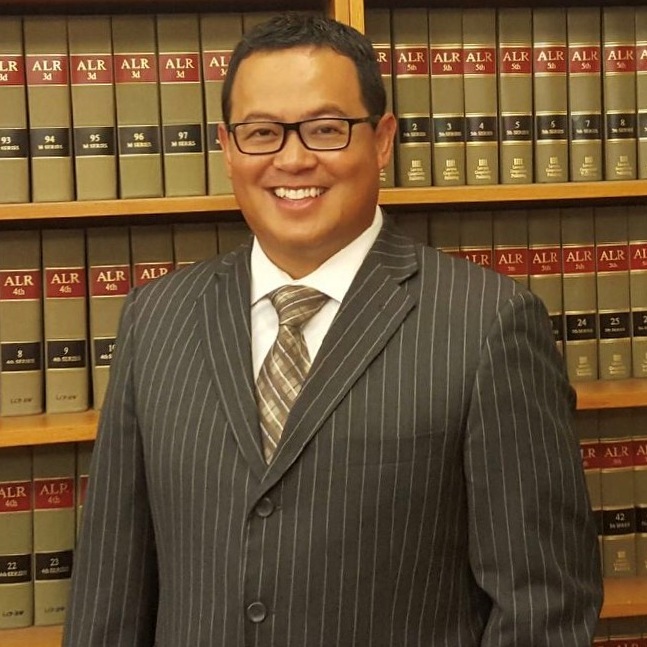 While still teaching and practicing law, Hugé found time to earn a second M.A. in literature from DePaul in 2008 (he earned an M.A. in history from Loyola University Chicago in 2000) and an LLM in intellectual property from John Marshall Law School in 2014. 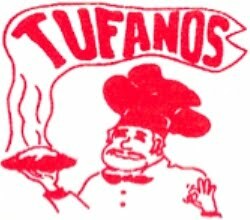 His campaign bio also notes that Hugé has also served on the boards of the City Lit Theater and the Cliff Dwellers Club. He has also been active in the Chicago Bar Association (past Chair of Law & Literature committee), the Advocates Society, the Constitutional Rights Foundation Chicago, the Art Institute of Chicago, the Organization of American Historians, the Chicago History Museum, the American Motorcycle Association, the Chicago Jazz Institute, and Steppenwolf Theater. Hugé announced an intention to seek a judicial post in the 2016 primary season, but folded his campaign without filing. 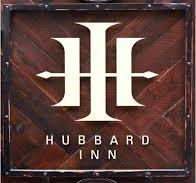 Supporters of Oran F. Whiting's judicial campaign are planning a fundraiser for their candidate on Monday, June 19, from 5:30 to 7:30 p.m., at Hubbard Inn, 110 West Hubbard. Tickets for the event are $100 each, but sponsorships are available ($250 - Friend, $750 - Host, $2,500 - Co-Chair, $5,600 - Maximum). Ald. Edward M. Burke (14th Ward) and Ald. Brendan Reilly (42nd Ward) are the Honorary Co-Chairs of the event; Cong. Danny Davis, 7th District; Cook County Recorder of Deeds Karen Yarbrough; and 10th Dist. State Committeewoman (and former State Rep.) Lauren Beth Gash are the honorary Co-Hosts. For more information, or to order tickets, email info@WhitingForJudge.com or visit this page of the candidate's campaign website. 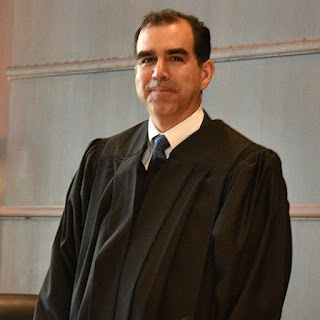 Judge David Navarro was just sworn in a couple of weeks ago. His supporters have already set up a campaign website to support Navarro's efforts to keep the 4th Subcircuit seat he has just assumed. That's a link to the new campaign website in the preceding sentence; a link has also been added to the blog Sidebar. Navarro was an Assistant Attorney General, serving as Chief of the Public Integrity Bureau at the time of his appointment. 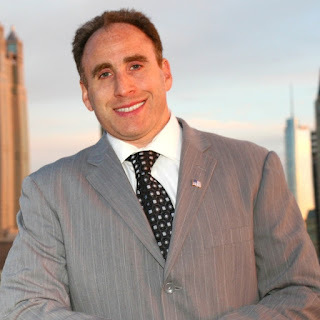 He has been licensed as an attorney in Illinois since 1993. According to his campaign website, Navarro also served as an Assistant State’s Attorney with the Cook County State’s Attorney’s Office from 1994 to 2009, eventually becoming Supervisor of the Professional Standards Unit of that office. Also according to his campaign website, Navarro is a member of the adjunct faculty at Loyola University Chicago School of Law and at The John Marshall Law School, and has served on the faculty of the Conference of Western Attorneys General, training Mexican prosecutors on trial advocacy. A volunteer Boy Scout leader, directing the Pinewood Derby for Troop 92 each year, Navarro has also coached in the Riverside Little League and for Riverside Recreation soccer and basketball. He serves on the Finance Committee for St. Mary Parish in Riverside. A cross-country runner at the University of Chicago in his undergrad years (winning all-conference and all-association recognition), Navarro remains an avid runner, according to the website, having run 20 Chicago Marathons. Navarro’s wife, Kelly, is also an attorney. Their two sons attend Fenwick High School in Oak Park, Illinois. This is apparently the fourth year that Staver Law Group, P.C. has run an essay contest to help college students reach their financial goals, but this is the first time FWIW has been asked to help promote it. The prize is a $5,000 national scholarship; the winner will be determined on December 31. Applicants must be a United States citizen or permanent resident, be accepted to or currently enrolled in a U.S. accredited college, university, or graduate program and have a minimum 3.0 cumulative GPA. Staver's press release adds, "The application consists of an application form, a current high school, college or graduate school transcript and an essay exploring how personal injury lawyers lead safety initiatives and how individuals can promote safety in their everyday life. Scholarship applications will be accepted through December 1." The application can be accessed at this link on the Staver Law Group website. For additional information about the scholarship contest, email scholarship@chicagolawyer.com. And, yes, gentle readers, I am aware that I have just given free advertising to the Staver firm, a firm I've never run across in my 37 years of practice (that I can remember, anyway). But the youngest of my five children just graduated from college a couple of years ago and my wife and I will be paying off the debts we incurred for this purpose for a long time to come -- and that's even though each of my children graduated from college with their own individual loans. So I'm OK with plugging a firm that offers scholarship money. Every little bit helps. And for those of you who have yet to fill out a FAFSA and experience the blood-curdling, nightmare-inducing shock of seeing what your 'expected parental contribution' turns out to be, well, just wait. After you discover that the amount you think you can afford to give your child for college for the coming year is maybe a fourth of what the government decides you will---somehow---provide, you may come around to my point of view. Now, the next question: Are there other firms out there that are doing this, too? Do not hide your lights under a bushel. Let me know (email me at jackleyhane@yahoo.com) and I will do my best to pass the information along. The Alliance of Illinois Judges is will induct its new slate of officers for the 2017-18 bar year at a reception on Wednesday, June 21, from 5:00 to 7:00 p.m. at the Chicago Bar Association Building, 321 S. Plymouth Court. The AIJ's current President, Hon. Mary Colleen Roberts, will remain an officer of the organization as Past President. 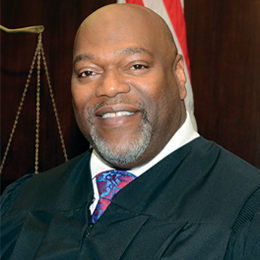 Cook County Circuit Court Chief Judge Timothy C. Evans will officiate at the installation. The AIJ will also confer a Community Leadership Award on Owen Daniel-McCarter. All are invited. Cocktails and hors d'oeuvres will be served. Tickets are $50 each and may be obtained from this page of the AIJ website. Supporters of Oran F. Whiting's forthcoming judicial bid have established a campaign website on their candidate's behalf. That's a link to the campaign website in the preceding sentence; a link has also been added to the blog Sidebar. Licensed as an attorney in Illinois since 1987, Whiting currently heads up his own firm with offices in River North. According to Whiting's curriculum vitae, however, supplied to FWIW by one of Whiting's campaign consultants, Frank Calabrese, Whiting has also worked for some of the largest firms in Chicago and the world, starting with Baker & McKenzie after graduation from the Georgetown University Law Center, and moving on thereafter to partnerships with Peterson & Ross; Barnes & Thornburg; Freeborn & Peters; Holland & Knight; Gonzalez Saggio & Harlan, LLP; and Quintairos Prieto Wood & Boyer, P.A. (these last two firms claiming, at different times, to be the largest minority-owned law firms in the country). Along the way, Whiting has found time to serve as a Commissioner of the Illinois Court of Claims, as a hearing officer for the Illinois Secretary of State and, currently, as a member of the Attorney Registration and Disciplinary Commission of the Supreme Court of Illinois’ Oversight Committee. Whiting is also the Executive Editor of the ABA's Litigation News. His campaign biography notes that Whiting has also "volunteered for several boards, including the Sargent Shriver National Center on Poverty Law, the AIDS Foundation of Chicago, and the Board of Trustees of the Francis W. Parker School," a school that Whiting attended. The campaign website also claims a number of endorsements for Whiting, including those of Cong. Danny Davis and Ald. Ed Burke. Assistant Public Defender Jerry Barrido has announced plans to seek judicial office in 2018. There is as yet no campaign website, but the campaign does have a Facebook page. When a campaign website is launched, I will have a link to it in the blog Sidebar. Barrido has been licensed as an attorney in Illinois since 1999. A brief statement on Barrido's Facebook campaign page says he "will bring fairness to the bench having worked with crime victims and for 17 years defended constitutional rights of the indigent accused." Supporters of Barrido's candidacy have set a Thursday, June 15 Campaign Kickoff for their candidate at Rick's Bar, 939 S. Western Ave. The event will run from 4:00 to 7:30 p.m. Appetizers will be served; there will be a cash bar. Tickets are available for $50 apiece, but government employees can attend for the discounted price of $25 and there is a $100 "Supporter" sponsorship available. Angela McGovern-Franklin is the chair of the campaign effort and the host of this event. For more information about the event, email barridolaw@gmail.com. If this "evite" link works (and I don't vouch for it, but I am sometimes willing to try new things), tickets can also be purchased by clicking here. Judge Gerald Cleary now has a campaign website up and running. That's a link to the site in the preceding sentence; a link has also been added to the blog Sidebar. The Illinois Supreme Court initially appointed Judge Cleary to a countywide vacancy in late 2015. After choosing not to run in the 2016 primary (he filed, but withdrew from the race at an early stage), Cleary was appointed to the Suriano vacancy in the 10th Subcircuit. Cleary has been licensed as an attorney in Illinois since 1989. His campaign biography stresses his extensive litigation experience at a variety of firms, starting with Querrey & Harrow, then moving to SmithAmundsen (as a founding partner) and, finally, to Pappas O’Connor. The campaign bio also notes that Cleary was born and raised in the area, adding that his wife, Pattie, grew up in Edison Park and is a graduate of Resurrection High School. 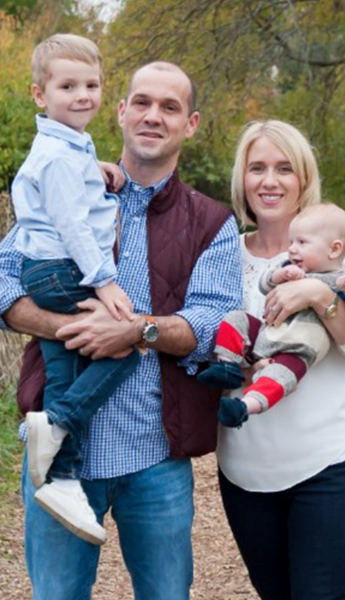 The Clearys now live in St. Catherine Laboure Parish, in Glenview, with their four children. Cleary was previously a candidate for a 10th Subcircuit vacancy in 2008 and for a countywide vacancy in 2012. Supporters of Judge Patrick Stanton's bid to retain his 3rd Subcircuit seat have established a campaign website for their candidate. That's a link to the site in the preceding sentence; a link has also been added to the blog Sidebar. 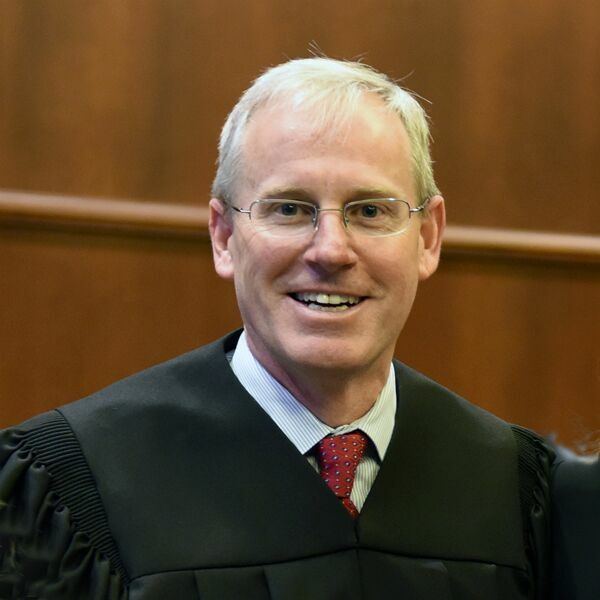 The Illinois Supreme Court appointed Stanton to the Delehanty vacancy in the 3rd Subcircuit at the beginning of this year. Prior to appointment, Stanton was a member of Dykema Gossett, serving as managing partner of the firm's Chicago office and, according to his campaign biography, head of Dykema's firm-wide Business Litigation practice group. 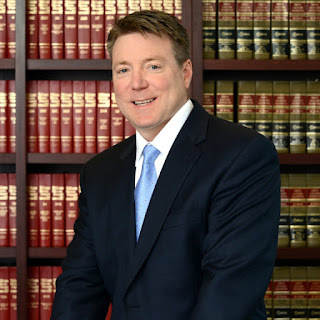 Stanton has been licensed as an attorney in Illinois since 1993. 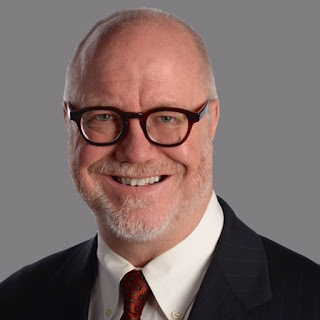 According to the campaign biography, after graduating from Loyola University Law School, Stanton began his legal career with Jones Day, leaving that position to become a law clerk to U.S. District Court Judge George Marovich. After completing his clerkship, Stanton joined the firm of Schwartz Cooper, rising to partner in that firm and serving on its executive committee. He joined Dykema in 2008. The campaign biography emphasizes Stanton's deep roots in the Beverly neighborhood on Chicago's Southwest Side. A graduate of Christ the King School, Stanton still lives in the parish with his wife and their five children. He serves on the Parish Pastoral Council, coaching basketball at the school and baseball for the Ridge Beverly Baseball program. He also attended Quigley South High School and the University of Notre Dame, according to the campaign biography. Former Circuit Judge Judge James A. "Jamie" Shapiro has announced a bid to reclaim a seat on the Cook County bench. His supporters have launched a campaign website in furtherance of this effort. That's a link to the campaign website in the preceding sentence; a link has been added to the blog Sidebar as well. Shapiro was appointed to an 8th Subcircuit vacancy in 2007. After falling short in the 2008 primary, despite strong ratings from bar evaluators, Shapiro was recalled to judicial service by the Illinois Supreme Court. He served until the end of November 2012, making another run for an 8th Subcircuit vacancy in 2012. Shapiro has been licensed as an attorney in Illinois since 1985. According to his campaign biography, Shapiro began his legal career with the firm now known as Hinshaw & Culbertson, moving to D'Ancona & Pflaum for a year before serving as an Assistant U.S. Attorney from 1989 to 1995. He became a mediator and arbitrator with Resolute Systems LLC after leaving the bench, and has also helmed his own law firm or partnered with others in a number of firms. 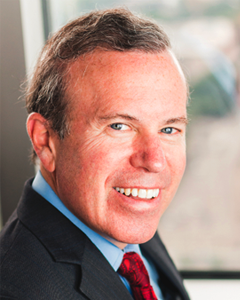 Shapiro was President of the Decalogue Society of Lawyers in 2007-08; he served as a Director of Alliance of Illinois Judges from 2010 to 2015. The campaign biography also notes that Shapiro taught trial advocacy at Loyola in 2014 and, from 2003 to 2009, was an adjunct professor at John Marshall Law School. 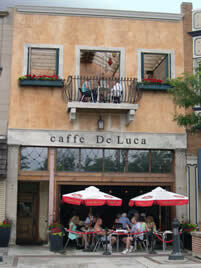 Supporters of Martin D. Reggi's 4th Subcircuit judicial bid are throwing a reception for their candidate on Wednesday, June 7, from 5:00 to 7:00 p.m., at Caffe De Luca, 7427 W. Madison Street, Forest Park. Beer, wine, and appetizers will be served. The Acosta Law Group is hosting the event. Tickets are available for $50 each, but sponsorships are available (Citizen - $75, Friend - $100, Patron - $250, Supporter - $500, Sponsor - $1,000). For more information, or to reserve tickets, email Marty Reggi, Jr. at reggiforjudge@gmail.com. Supporters of Judge Stephanie Saltouros are staging a campaign kickoff event for their candidate on Tuesday, June 13, from 5:30 to 7:30 p.m., at the Plymouth Grill & Rooftop Bar. 327 S. Plymouth Court. Illinois State Rep. (and Saltouros campaign chair) Robert F. Martwick, Jr. is hosting the event. Tickets are available for $100 each, but sponsorships are available ($500 - Host, $1,000 - Sponsor, $2,500 - Patron, $5,000 - Chair). For more information, or to reserve tickets, email kellymarie@kmmconsulting.com or call (937) 271-4194. Saltouros sits by appointment to the O'Neill Burke vacancy in the 10th Subcircuit. Michilla Blaise sent in these pictures from Judge Stephanie Miller's May 22 fundraiser at West on North. That's Judge Miller on the left in the picture above. That's Judge Myron "Mike" Mackoff posing with Judge Miller, in the picture below. Supporters of Judge Clare Joyce Quish's election bid are planning two fundraisers for their candidate in June. The first of these has been set for Friday, June 16, from 5:30 to 7:30 p.m., in the 4th Floor Cyber Cafe at The Residences at New City. Nora and Jeff Feyerer, Katie McCarthy, Matt and Molly Miller, and Tom and Sarah Quish are the listed hosts for this event. Tickets for the June 16 fundraiser are $50 each. Sponsorships are available ($100 - Supporter, $200 - Patron, $500 - Sponsor, $1,000 - Host, or $1,500 - Chair. Judge Quish's second June fundraiser will follow on Tuesday, June 20, from 5:00 to 7:00 p.m., in the 6th Floor Millennium Room of the University Club, 76 E. Monroe. Retired U.S. Dist. Judge Wayne Andersen, Retired Illinois Appellate Court Justice Michael J. Gallagher, and retired Circuit Court Judge Sheila O'Brien are listed as the honorary hosts for the June 20 event, while Benjamin DeBerry, Joanne Driscoll, Kevin Forde, Matt Kipp, Jack McCarthy, Donald Mrozek, Richard J. Prendergast, and John Rotunno are the listed hosts. 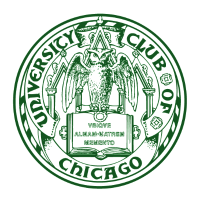 Tickets for the University Club event are $150 each, but sponsorships are also available ($250 - Supporter, $500 - Friend, $1,000 - Sponsor, or $2,500 - Patron). For additional information about either event, or to reserve tickets, email eric@blueprintcampaignconsulting.com or call Eric at (773) 562-9559. 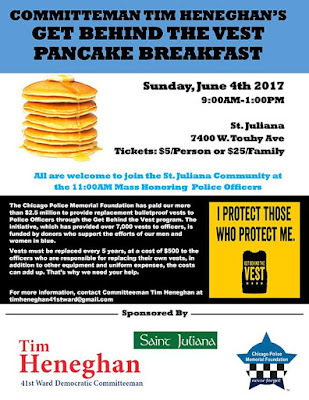 This particular flyer came in from the Chicago Police Memorial Foundation, and the breakfast is raising funds for replacement vests, but, according to the St. Juliana's Parish bulletin, the 11:00 a.m. Mass will be offered in honor of all first responders, not just police officers. All first responders are encouraged to wear their uniforms for the Mass.